Definitely won't appeal to everyone. Don't blind buy this please, buy a sample first. I ABSOLUTELY love this on my husband. A tiny dab on the back of his neck makes me feel frisky which isn't too good if you are out in public, but oh well. Smells clean and fresh. 1.- si es original la fragancia. 2.-la primera etapa del olor es muy fuerte , la segunda cambia un poco y la tercera etapa es la mejor porque se combina con tu ph y en ese momento es cuando le gusta alas mujeres . Esta en los top 10 perfumes q les gusta a las mujeres en 4 páginas web. 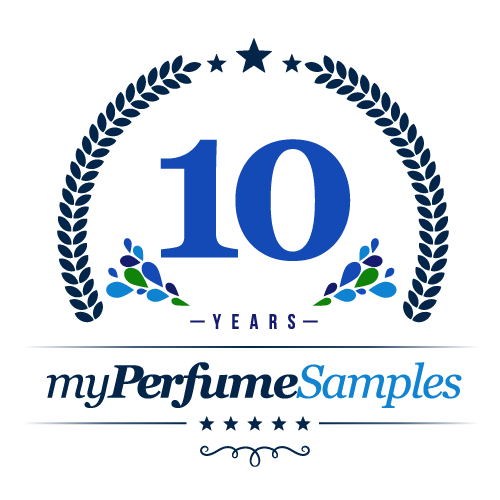 En lo personal yo no lo vuelvo a comprar porque hay muchos buenísimos perfumes que yo ya compre en este mismo sitio myperfumesample.com. Not too strong but smells great!! The vanilla and lavender notes blend together well and make for a sweet but masculine scent. Smells like baby powder to me. I'm really not sure if I like this or not. It's not awful but isn't great. But, I don't get the popularity behind this scent. My fathers signature scent. Whenever i smell it, it makes me calm and reminds me of home. Is sweet and floral very controversial, unconventional in masculine fragrances, nevertheless it is a masculine scent; I feel perfect for evenings and open places where it can have good longevity. It has the sweetness of tonic bean and lavender with the spice of cinnamon, cedar, and mint. Also a powdery, barbershop feel. A classic. Old school smell. Heavier scent that is pretty noticeable from a far. Vanilla and lavender bleed through this scent. For me, I just don't like the smell and it is overpowering. Too many men use this scent, it's pleasant but does not stand out in the crowd. one of my all-time favorite colognes (first ever cologne gift as a child too). Love the vanilla mint vibes from this, deff not the most complex scent but is very warm and comforting due to popularity. Great fall winter spring scent, but is unbelievably common so dont plan on standing out with this one. It's a decent scent, I have no qualms against ordering.. it has no throw though. Does not last on my skin very long. I got no response from it from others. Very light, would appreciate it if it was gifted to me but would not purchase on my own. You cant go wrong with this one. Great quality and great performance. My brother owns this and I would call it a safe buy. It's very soft and it hardly changes. Just wear a few sprays. Any age can wear this, not for early day time and not for summer. I frankly hated this one. The baby powder and vanilla punched me in the nose like a big stinky fist. Very good! I like the scent on this cologne. I had this cologne a long time ago when it came out then forgot about it until one... glad I bumped into it again :) The scent stays with you for a long time. I used it year around. This one is super long lasting! It garners tons of compliments. I can't stand this cologne. All that I get is powdery lavender. Apparently this is a popular fragrance and women love the smell but it's definitely not for me. If you want to smell like a freshly diapered baby, this one is for you. This fragrance has a smooth and creamy vanilla scent that will get you compliments from the ladies no doubt. There is a reason why it has remained one of the top sellers since 1995, its a pure and simple classic. Get the sample and you will see why it is popular. This is one of my absolute favorite fragrances for men, I purchase the gift sets yearly for Christmas gifts. Jean Paul Gaultier Classique for women is my all time favorite fragrance that I wear on a daily basis, I get complimented multiple times daily by random people asking me what I'm wearing because it smells that good. As a women, I love this smell on a man, long lasting and good!! Almost because of the intensity of the initial silage (to much) great mix of vanilla cinnamon and cardamom then fades quickly to powdery lavender with a hint of vanilla. Over rated the review by Jonnyjazzy at fragrantica sums it up.